As of today, I have been co-directing #mlp with @goldenrusset for one year! Yay me! Post by Daniel Ingram – Composer/Songwriter. Video embeds after the jump. 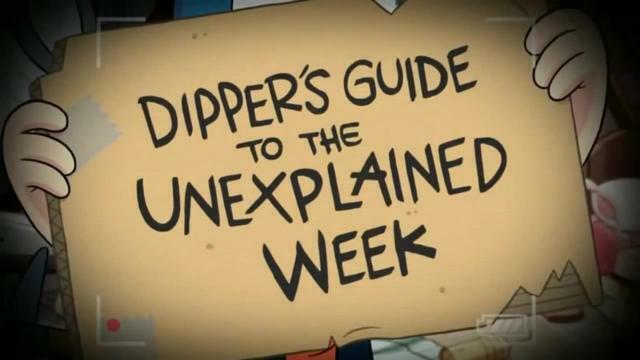 Gravity Falls Public Access TV: New Shorts are Coming. A new batch of Gravity Falls shorts similar to the few they had after the season finale are coming, more information after the break! Make it five in a row for MLP: FiM on the Hub. “Power Ponies” drew 683,000 viewers on Saturday which was an increase of 20% compared to “Flight to the Finish” in its first showing. Son of the Bronx has confirmed that “Magical Mystery Cure” drew 478,000 on February 16th. Thus, “Power Ponies” is the second-most watched episode in show history behind the S4 Premiere. It also makes the most-watched non-two-parter in show history. For LPS, “A Day at the Museum” drew 301,000 in its first airing which was good for 5th this week. The comedown from “Power Ponies” was enough to propel a rerun of “The Big Feathered Parade” to 388,000 and 2nd place. Still, the viewership for “A Day at the Museum” in its first run represents a drop-off of 56% from the one hour after “Power Ponies” aired. A rerun of “Flight to the Finish” took 3rd this week at 371.000. Correction: The Hub published an updated version of the press release. See our new post on “Three’s a Crowd” for the new synopsis. A press release sent out today by HubWorld features a short synopsis for Episode 411, which includes a guest voiceover by Weird Al Yankovic. Details behind the spoiler button. January 25 – “Three’s a Crowd”: Pinkie Pie finds her status as “super-duper party pony” in jeopardy when the mysterious Cheese Sandwich comes to town and offers to plan an epic party for Rainbow Dash. Guest voiceover by Weird Al Yankovic. New episode of #MLPseason4 tomorrow and it is SUPER! Been under the weather but gonna try to get up early and live-tweet. … but tomorrow’s #mlpseason4 episode was boarded by Mike West and Steve ‘Meatstick’ Garcia! Merry Christmas!